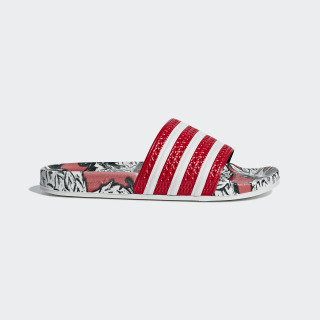 Tropical-print slides designed in collaboration with The FARM Company. Originally designed as shower slides for soccer players in the '70s, the Adilette has evolved into versatile sandals for sporty leisure. 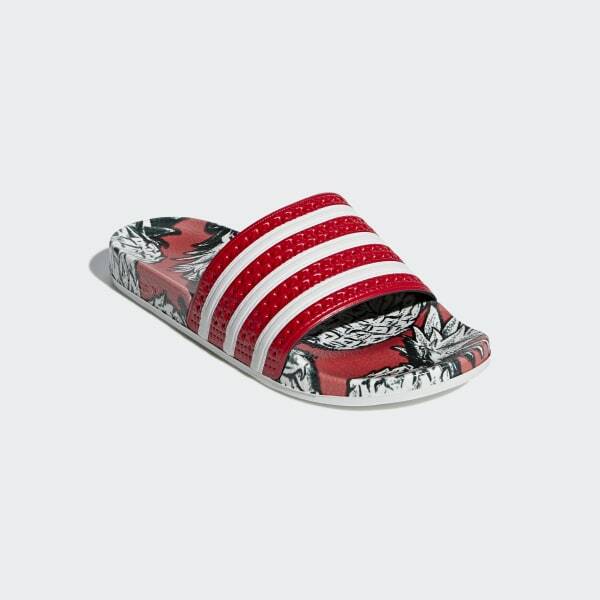 These slides show off a tropical vibe with a print designed in collaboration with Brazilian streetwear label The FARM Company. They are lightweight and soft with a slightly flexible feel.